The Best Beach on Koh Chang is . . . .? Koh Chang’s beaches (beach means ‘Haad’ in Thai) are interestingly diverse. The western shores are home to the most developed areas while the island’s eastern side is largely untouched and beaches are widely deserted. While most of them have one thing in common – marvelous powdery sand – it’s the surrounding that makes each beach unique. A big plus is that Koh Chang has been spared by large crowds and is by far not as touristy as various other islands like Phuket, Koh Pa-Ngan or Samui. From bustling areas with an array of hotel, entertainment and shopping options over lonely beaches surrounded by coconut palms and mangrove forests to the serene feel of fishing villages, Koh Chang has something for everyone. Koh Chang’s beaches attract all types of travellers, something which is quite rare in Thailand, as many islands cater to a certain clientele only. 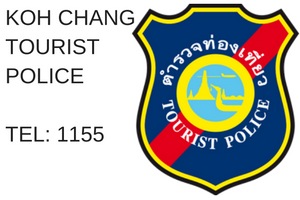 If you have the time we recommend exploring Koh Chang’s east coast as well. Still unknown to many visitors, the beaches are undeveloped and surrounded by some of the best mangrove forests in Thailand. People here live mainly from fishing and agriculture while tourism just plays a minor role. Just follow the ultra-scenic coast road to Salak Khok, Than Mayom and Dan Mai. With two kilometres in length, Haad Sai Khao or White Sand Beach is Koh Chang’s most developed area with the majority of accommodation, shops, restaurants, mini-markets, bars and entertainment. Situated on the northwest coast, it’s usually the first port of call for anyone driving to the island.The beach is one of the widest on Koh Chang and, as the name suggests, consists of beautiful white powdery sand. Haad Sai Khao is one of the best beaches for kids as there are no rocks or corals in the water and shallow enough for swimming and playing. While the main strip is overfilled with large hotel blocks we recommend heading up further north if you’re looking for a quiet place surrounded by smooth white sand. With only a few smaller guesthouses and bungalows around, this is the place to stay if you want to linger longer and on a budget. Haad Sai Khao is also a favourite weekend getaway for many Thais and expats based in Bangkok, especially due to its close location to the ferry piers. A stretch of pristine jungle-shrouded beaches and panoramic views over the ocean can be found to the south of White Sand Beach called Haad Kai Mook or ‘Pearl Beach’. Visitors to Pearl Beach like the slight sense of remoteness yet also appreciate the close distance to White Sand Beach if a bit more entertainment is desired. 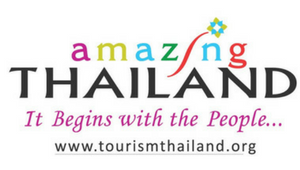 Accommodation-wise there are few bungalow operations such as the Baan Ton Rak Resort or the rustic Remark Cottages. 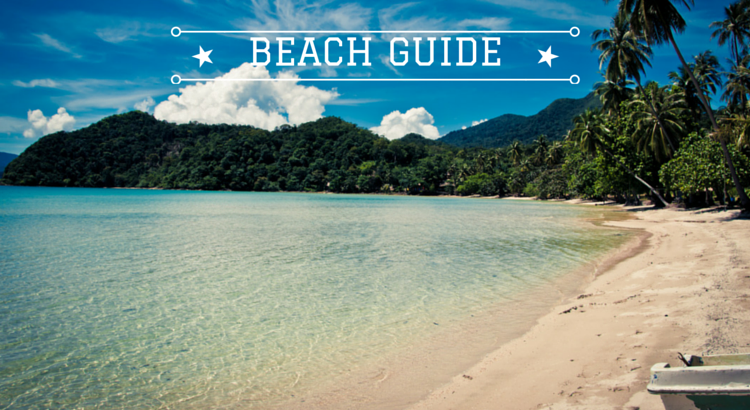 Don’t expect a soft sandy beach throughout though – while the coconut palm fringed bay looks definitely alluring, at first sight, the actual sand beach is quite narrow. Large parts contain stones and shells. Although Pearl Beach is slightly off the track, you can still find a Tesco Lotus Express, Big C Supermarket, a post office as well some dive shops along the main road. Cheeky macaques are often roaming the beach; keep your belongings together, especially loose items like bags and cameras. White Sand Beach is the busiest place on the island and, depending on the season, often crowded. 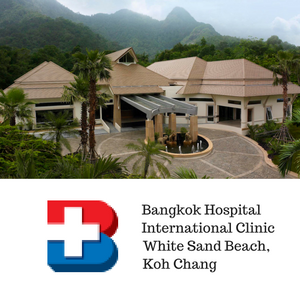 That being said, the area offers also the most comfort with economic to splurge hotels, international restaurants and bars, several banks, an international clinic, enough ATMs and travel offices.The hinterland, however, offers some worthy sites such as waterfalls, hiking trails and an elephant trekking centre located close to Klong Son Bay further up north. Klong Prao –which translates to ‘Coconut Canal’ in Thai- includes a 5 km beach that sweeps down between the village of Chai Chet in the north and Kai Bae to the southern end. It’s the island’s largest beach and suits visitors looking for high-end accommodation. The long curving beach is divided into two sections by a river estuary that starts as a canal at the famous Klong Plu Waterfall. Outdoor enthusiasts love the exciting trails that lead along the many klongs (rivers), waterfalls and lush mangrove forests further inland. Next to the mountainside is the island’s only airstrip, however, currently not in use. Klong Prao is also a great spot to enjoy golden sunsets glazing across the Gulf of Thailand. If you’re looking for more tranquility we recommend Chai Chet to the north. Chai Chet is a wonderful tiny bay with a secluded cape to its south that is relatively undeveloped and praised for its picturesque scenery. The beach here is wide enough and perfect for swimming making it a great spot for families seeking tranquility away from the touristy spots and couples looking for a calm surrounding yet not too remote. A cluster of restaurants and small resorts are situated along a small reservoir that can be easily reached when coming from Chai Chet. Some houses are built on stilts above the water while tiny boats and canoes are seemingly the main modes of transport. With its mountainous backdrop, you have everything you need for a postcard-style Instagram post. Activity-wise, Klong Prao has several things more to offer than other beach areas. With several cooking schools around you can get a taste of Thailand’s incredible culinary world. ATMs are widely available, a dental clinic, general clinic as well a tiny police station. As the area is quite large you may want to take a Songthaew to get around. Kae Bae Beach is another spot that is ideal for families and couples but, because of its good mix of accommodations, also for solo-travellers and backpackers. The roads and alleys around the village are flanked with bars, cafés and various local and international restaurants. The beach is split into two areas, the north and the south. Coming from Klong Prao, the first part of the northern Kai Bae consists of the main coastal road that extremely narrows down here. Guesthouses, pubs, local eateries and a series of souvenir shops make up most of the northern area. If serenity is your thing, look no further and just follow the small alleys leading along the rivers further upstream. You can find various affordable bungalow-style resorts here. The south is the last area where the main road runs through flatland before it climbs up the hillside towards the southern coasts. While it still has a sense of beach town, you can find yourself quickly inside the jungle surrounded by waterfalls. The beaches here are better than in the north. What makes Kai Bae stand out from other beaches are the gorgeous views of many of the neighbouring islands such as Koh Man Nok, Koh Man Nai, Koh Pli and Koh Yuak. Tip: Head over to the viewpoint south of Kae Bae (towards Lonely Beach) that offers fantastic vistas of the island and its surroundings. ATMs and a good selection of mini-markets, including a Tesco Lotus Express and two 7-Eleven, banks, a pharmacy, dive shops and boat rentals are available. Walking around the main road can be a bit challenging as it is way narrower than elsewhere. 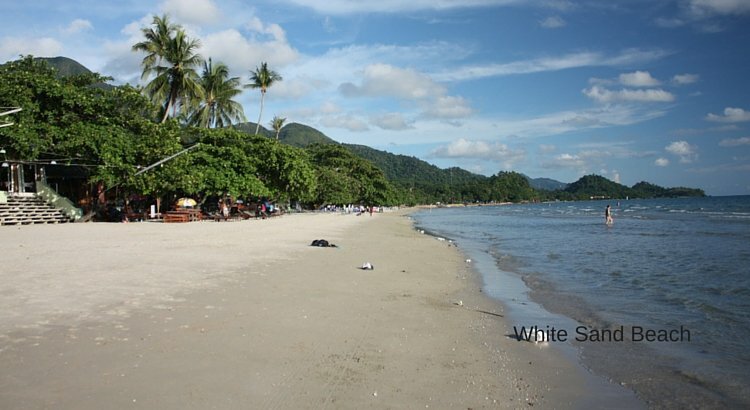 Despite its name, Lonely Beach is undoubtedly one of the island’s liveliest place and can be pretty much compared to Haad Rin on Koh Pa-Ngan: bars and nightlife venues competing with loud music for their customers, while plenty of souvenir stalls and tattoo shops are clustered along the roads. Backpackers still make up the majority of the clientele but lately more families and small tour groups discovering Lonely Beach as an affordable place to stay. Away from the hustle and bustle are indeed some quieter spots that offer perfect relaxation, such as the northern end or the hillside. Lonely Beach is also a fantastic spot if you want to explore more of Koh Chang. Beach vendors might surprise you while tanning. They sell mainly jewel accessories such as bracelets, necklaces, sarongs or paintings. If you’re not interested just refuse politely. If you are, make sure to haggle strongly. ATMs can be found throughout the area of Lonely Beach. If you have a tense feeling, lots of small massage huts are lined up at the beach offering traditional Thai massage and foot treatments. Just a short drive south of Lonely Beach (1.5km) comes a little bay named Bailan Bay which is home to numerous bungalow resorts and mid-range hotels like the Mercure Koh Chang Hideaway. The tranquil atmosphere is suitable for those seeking a quiet holiday with more comfort yet not too far from the mainstream. Bailan’s beach-landscape is more rocky than sandy and access to the water is limited to a small patch in the north. The village Baan Bailan sits next to the main road and consists of just a few houses, shops and mom ‘n’ pop style restaurants. For those seeking action, head over to the Tree Top Adventure Park which offers thrilling activities like zip-lining, abseiling, ropewalks and Tarzan swings. Situated at the tip of the southwestern coast is Bangbao, the island’s diving centre and exit point to many islands of the Koh Chang Archipelago, like Koh Mak, Koh Rang or Koh Kut. The crescent-shaped bay is often cited for its idyllic and laid-back vibe which results in a pretty simple daily agenda: Soak up the sun and jump in the water. Another worthy day trip is heading down the coast to the very south of Koh Chang. These areas are less crowded and developed, but great if you are in need of some detox days. Salakphet Bay, for example, offers a journey back in time – no hotel blocks, bars or international supermarkets. Catch a glimpse of how island communities lived (and still live in some places) before the influx of tourism. Salak Phet was, by the way, the main fishing port on the island before Koh Chang was discovered as holiday destination.Adventurers and outdoor enthusiasts hail here for vigorous and thrilling activities like hiking off-the-path, kayaking, downhill mountain biking or motorbiking across the countryside. Forget about big resorts as accommodation options are mostly private and eco-oriented. There is also a memorial commemorating the Franco-Thai battle of Koh Chang, situated in the southern part of the bay. 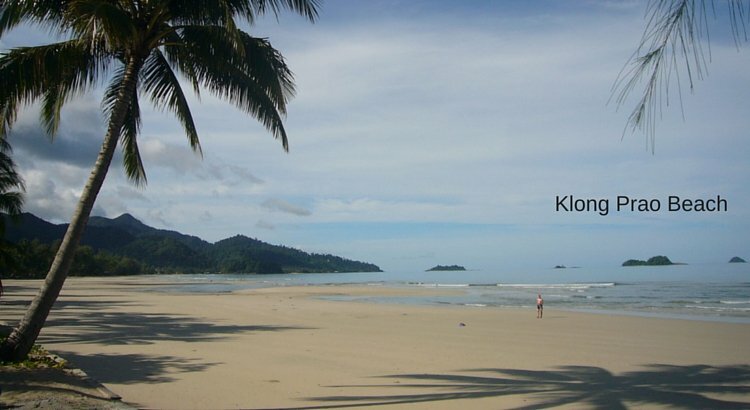 Two spots farther south are Chek Bae and Long Beach that are among the least visited places on Koh Chang. Although a small number of nice resorts and bungalows are here, most of the beaches contain rocks and are not suitable for swimming. Nevertheless, Chek Bae offers some gorgeous views over the bay and a few neighbouring islands. The area consists mainly of pineapple fields, mangrove forests, rubber tree plantations and orchards. 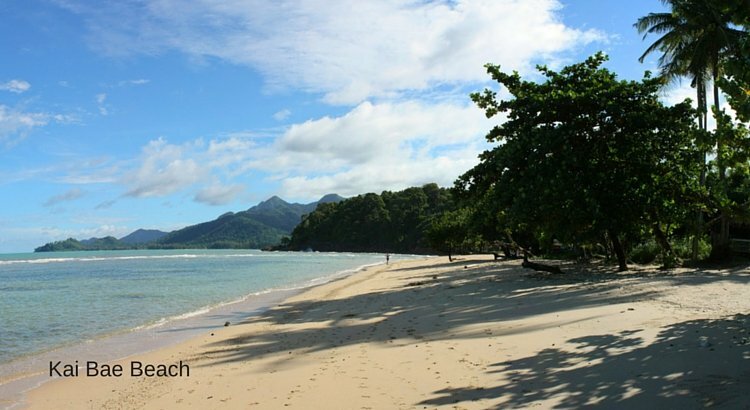 Long Beach (situated at the southeastern tip of Koh Chang) is perfect for those seeking a Robinson Crusoe-style feeling. Stroll around wide lonely beaches, sink your toes in lush cool grass or just enjoy the warm ocean breeze while chilling under coconut palms. Thanks to its remote location, Long Beach has next to no tourism. Careful though when driving on your own, the road along Long Beach was often affected by landslides and is currently undergoing a massive overhaul. Several smaller roads turn and twist through the steep hills, pay extra attention there. Koh Chang’s beaches all cater to a different type of visitor. Read our guide to discover which offers the type of accommodation, dining and nightlife to suit your style of vacation.